Sometimes, things just work out. It’s as if the world knew what you needed and all the right things lined up to make it happen. I say that about our mobile home and this blog. Annie could probably say that about her new home, too. 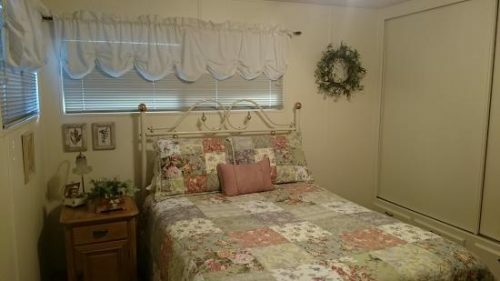 She turned a free mobile home into a cute little place to call her own. Like many of us, Annie, who lives in Orange County, California, was tired of sharing apartments and homes with roommates who never seemed to work out. But she never seemed to be financially ready to move out on her own. That all changed when her boss jokingly offered her his father-in-law’s old “junker” mobile home in a 55+ mobile home community. His father-in-law was transitioning into other senior options and no one knew what to do with the home. Annie jumped at the chance! Annie’s new free mobile home was 100% original. A paintbrush had never touched the home. When Annie saw the original state of the home she knew it needed to stay in all its vintage glory. The home has all the original kitchen appliances and bathroom sink and countertops! There were some things that needed to be addressed. She replaced the carpet, added new doors, and did a few small repairs along the way. Also, a fresh coat of paint was added to brighten up the space. 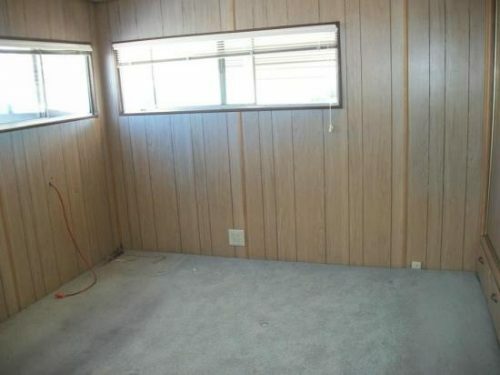 So much potential in this mobile home.(before). I love the fact that Annie left the end wall unpainted in her kitchen and dining area. It gives warmth to the space and is a perfect nod to the free mobile home’s vintage roots. 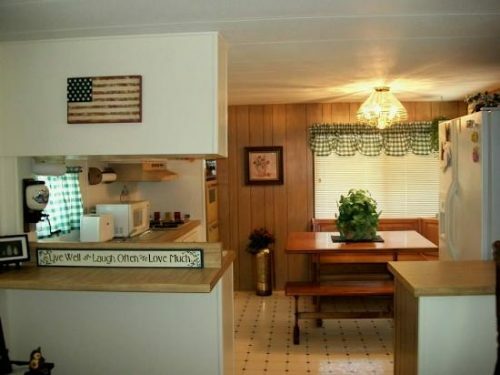 Related: See another vintage mobile home remodel from one of our readers! Annie wanted to make the most out of her free mobile home but she couldn’t quite decide on an overall home style, she likes them all. She solved the problem by giving each room a different theme. Annie was able to keep the home with all its original style and character and still make it her own for less than $8,000. She loves her home and has been there for around 3 years now. 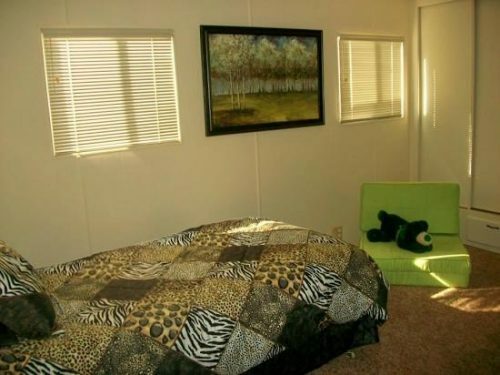 The location in the park is perfect and has a mixture of both vintage and newer mobile homes. Related: See how you can remodel and still be thrifty here! Annie is now roommate-free and happily living a more affordable life in her new home. I guess the moral of the story is to be open to all options in your life, one person’s trash really can be another’s treasure! Thank you, Annie, for sharing your story! It’s an inspiring tale that proves even free mobile homes have potential. 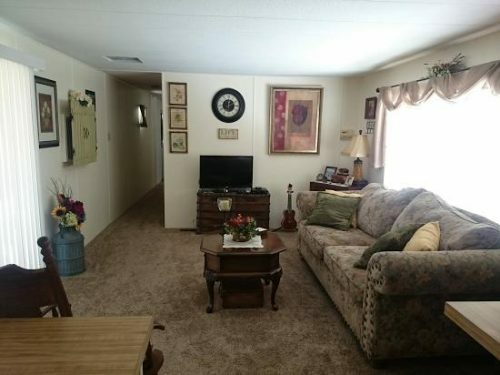 There are many listings online for free mobile homes. Just be sure to do your research. Each situation is different. 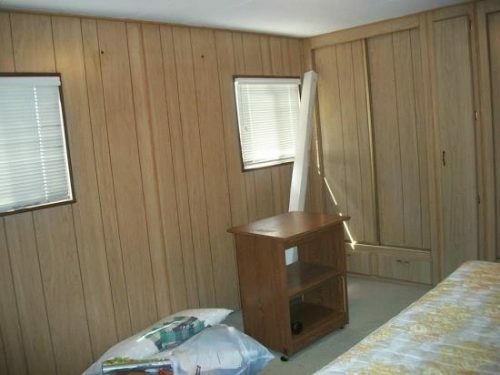 You’ll need to make sure the integrity of the mobile home is strong and no leaks have damaged the home. 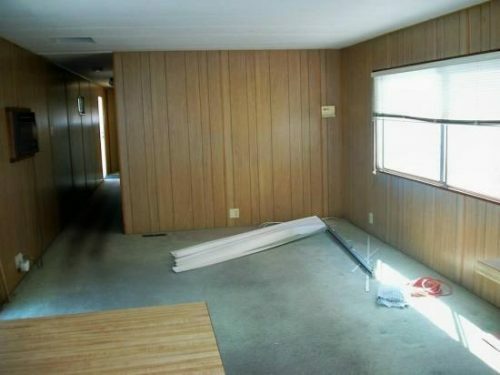 Sometimes the sellers are willing to give you the home as long as you move it off their property. 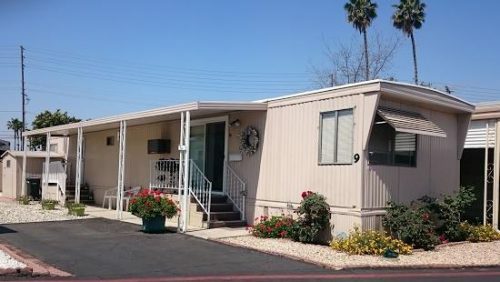 In situations like that, you need to be especially careful as a lot of states don’t allow mobile homes over a certain age or condition to be transported. We’ve got our own trash-to-treasure with a free mobile home. We are still in the “working on it” phase before we can move in, and this site is giving me a lot of ideas. Kids are grown and it’s just the two of us. A small home is not easy to find. A tiny home won’t cut it, though. Our freebie is a 1970’s Homette, 840sqft, big enough but not too big. Perfect for our land. And it is not going into a landfill somewhere. Congratulations! We own a 1978 Homette and I love everything about it! 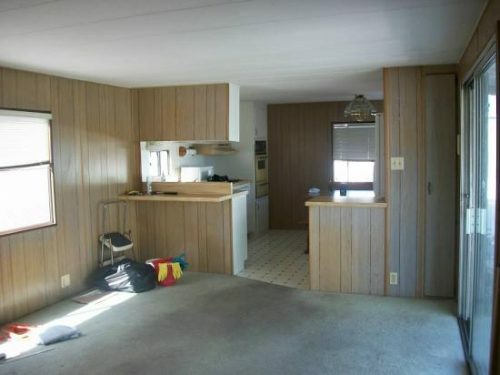 It has an end kitchen, great built-ins, and is well-made. Please take lots of photos so I can add your story – it’s so inspiring! I love how the homeowner kept the original features and just freshened things up. Very cute and cozy home. very nice! what is the size of the home? 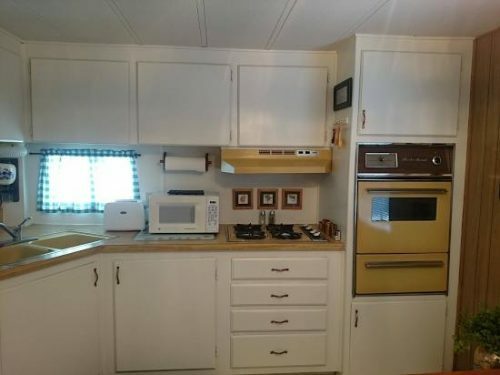 Exactly what I would do [and still considering]: vintage mobile home with all original built ins, period correct fixtures, cabinets and countertops. Vintage appliances. Love Harvest Gold and Avocado. Tucson Estates has many just like this. Classics to me. Thrift store and flea market finds make it a place special. Some of my favorite lamps are decades old now. And they were outrageous even then. This place is the best revenge over-consumption, useless mass, waste and pretension. Good work, Annie. May it serve you many more years. “Junker” ? People wig out over cars from decades ago that are this well cared for and original. I love this story! This has become a beautiful home! Working with what you’ve got is a smart and beautiful concept. Please keep sharing stories like this, we all love to read them, they are inspiring.